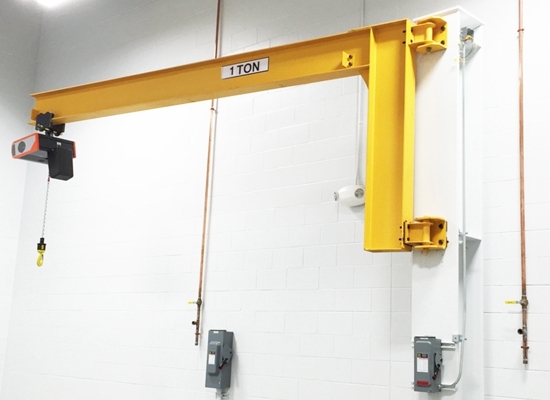 1 Ton Jib Crane-Small Jib Crane Portable Jib Crane Great For Light Duty! 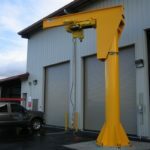 1 ton jib crane is a small and portable crane. With tiny size, light weight, it is very convenient to use and operate. It has wide application in factory, material handling yard, shop, construction site, assembly line, workstation and warehouse. This kind of mini jib crane can increase working efficiency and improve working conditions. 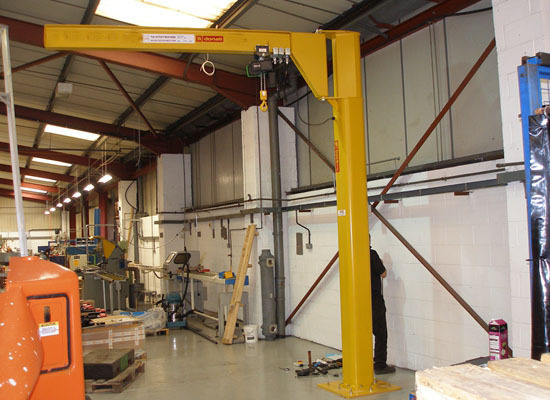 1 ton jib crane is available to carry with from one place to another place. Its size is small. So it is suitable for small factory or garage use. 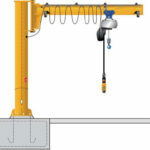 And as a light lifting device, 1 ton jib crane is much cheaper than heavy duty crane. 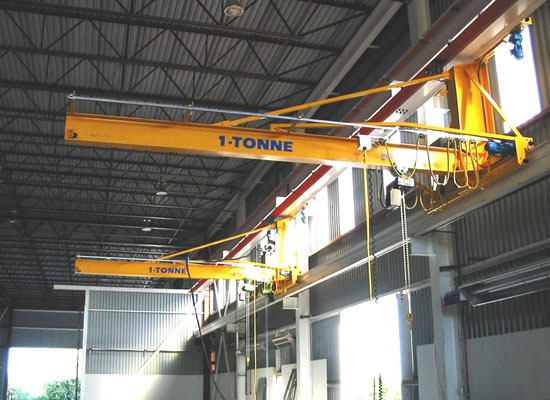 For light, frequent and short distance lifting and transporting, never hesitate to choose 1 ton jib crane. Customers in Pakistan are increasing rapidly. So our company set agency in Pakistan. This makes the contact and purchase easier and faster. 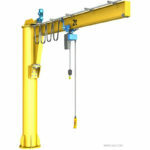 Many customers want to know the price of different jib cranes. Our company has own factory and professional designing team, experienced engineers. 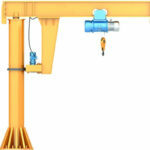 We provide qualified jib cranes with affordable price. 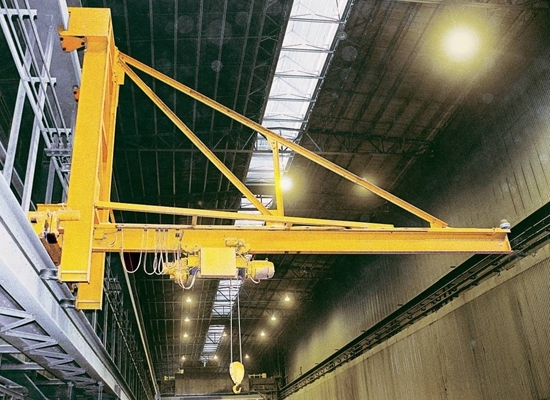 The cost-effective crane is the ideal choice for customers. For specific price, customer should contact with engineer. This is based on the crane specifications, such as lifting tons, lifting height, the arm, the rotating degree, and applying place. To get a suitable jib crane, just send email to sales@crane.pk , we will reply you asap. 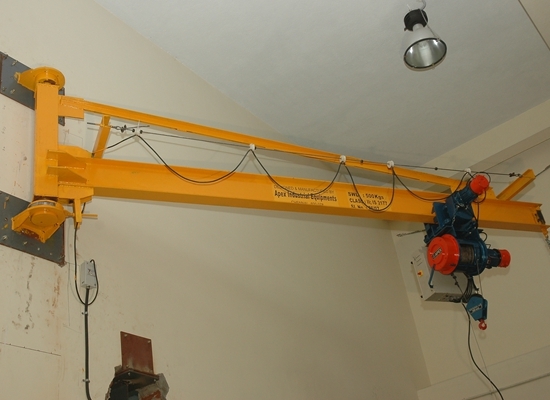 1 ton jib crane has various types, column mounted jib crane, wall mounted jib crane, wall traveling jib crane, free standing jib crane. Customers can choose the suitable type based on practical conditions. Such small jib crane has simple structure. This makes it easy and fast to assemble, disassemble, maintain and repair. And the user can save much energy and time. Compared with 10 ton jib crane, 1 ton crane is much cheaper. 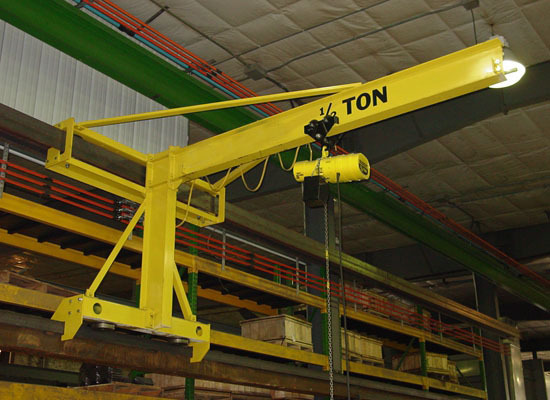 For light and quick lifting, 1 ton crane is a great choice. Before moving the load or jib arm, check whether the travel path is clear. Never overload the jib crane, maintain awareness of the total load capacity. Including rigging and below the hook devices. Always position the jib arm carefully. Be aware of any equipment or other personnel that may move into the path of jib. Push the loads, not pull them. Always take the lift slowly to avoid shock loading.